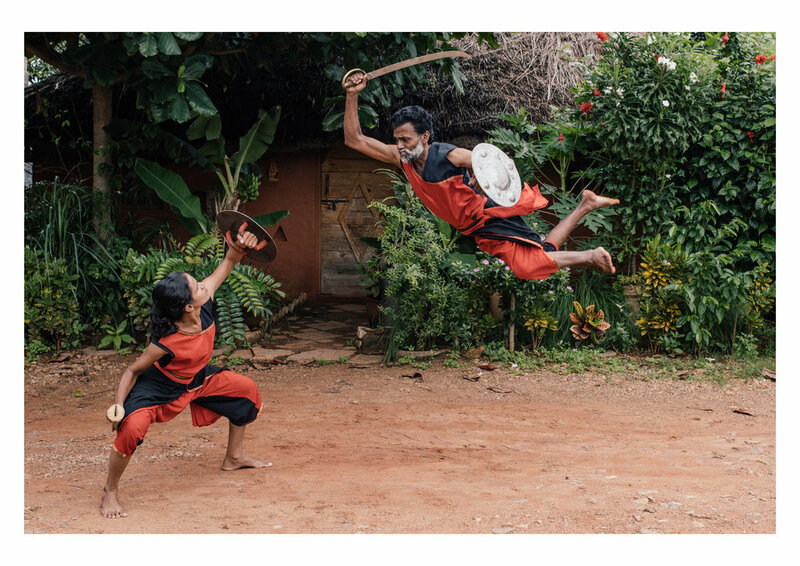 Kalaripayattu is a martial art originating in Kerala around 3000 years ago. I visited Kalari Giurukalam, a school in Bangalore where it is studied to create this visual essay. Ranjan's wife, Shiny, is also a student of Kalari, and takes part in performances. When I visited, they had a student staying with them. Sana Hirata is originally from Seattle, and has been spending time studying Kalari. This essay is an attempt to capture the unique environment I found myself in. 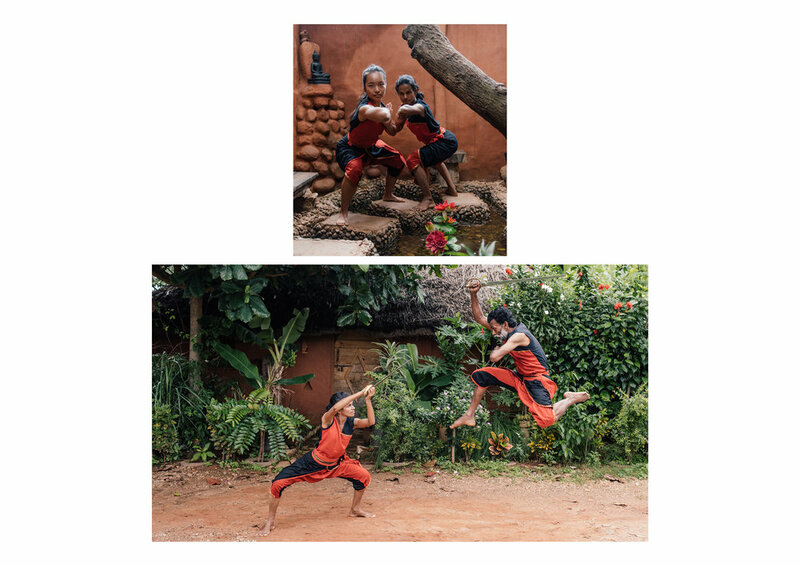 A tiny village on the outskirts of Bangalore in which Ranjan has built a secluded and peaceful space where moments of quiet contemplation sit side by side with incredible feats of physical prowess. Shiny demonstrates a stance with traditional sword and shield. 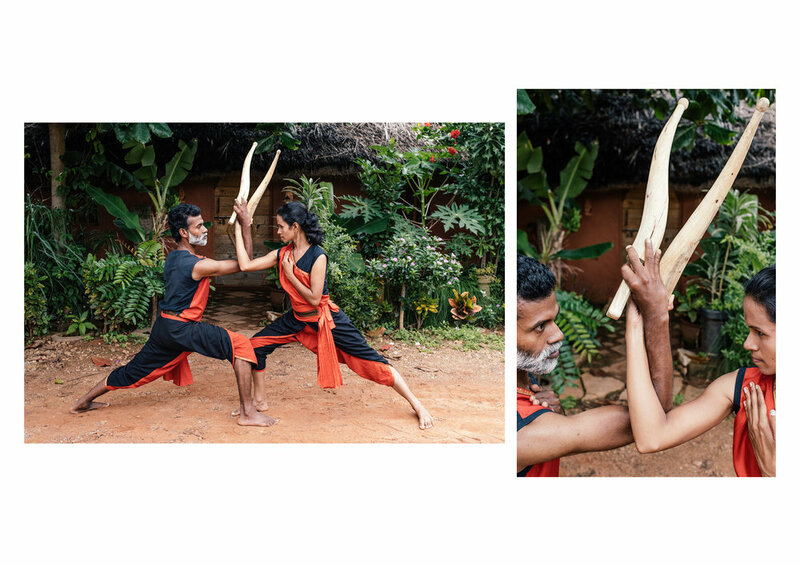 Kalaripayattu draws its inspiration from the raw power, majestic strength and instinctive fighting techniques of animals. 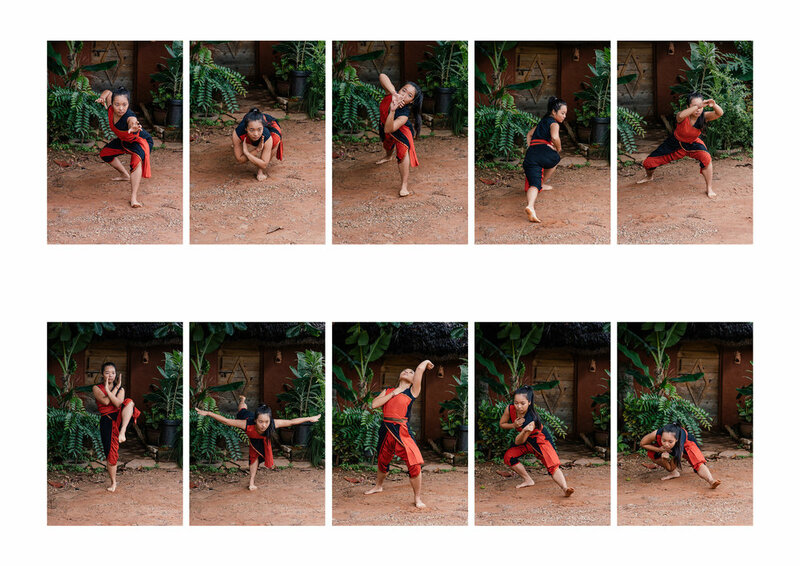 Kalari fighters are trained to a high level of athleticism, and some of their combat moves are hard to believe. Strength, balance , grace and poise all combine in Kalari. In training, students learn animal fighting postures taken from the crouching attack positions of the wild boar, elephant, cat, lion, snake, rooster, peacock and horse. Weapons training is allowed only when the teacher is convinced that the student will not misuse their learnings. The environment in which training and study takes place is one of intense peace and harmony with nature. Spending time in the company of Ranjan and his family brought me a moment of real peace. 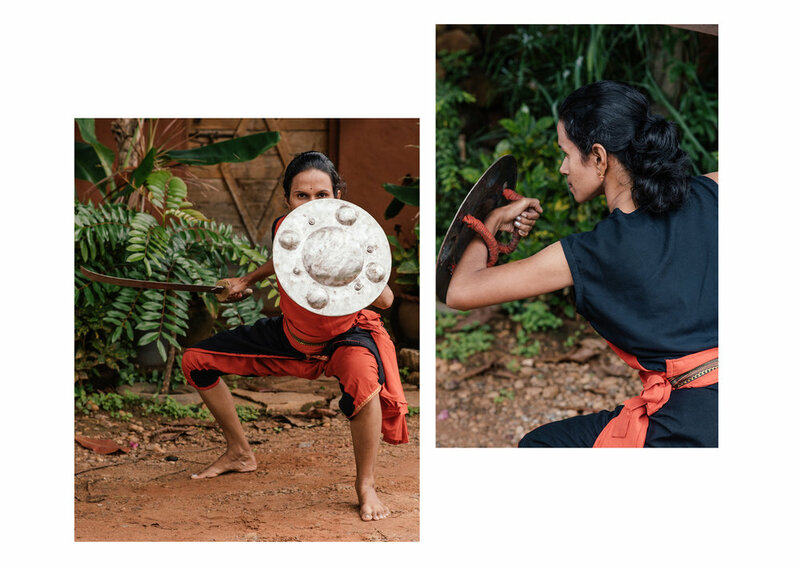 The Urumi- a six foot flexible sword is the final weapon taught in Kalaripayattu, and is considered to be as lethal as the body.